A classic rich & creamy recipe with chilli, ginger & cumin. 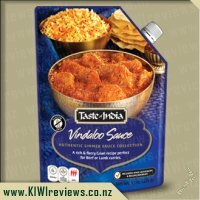 Delicious Authentic Quality Cooking Sauces. Simply add your meat & simmer. 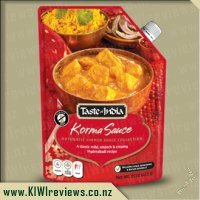 These Simmer Sauces provide a quick and convenient way to enjoy traditional authentic Indian recipes with 11 sauces now available. Water, onions (24%), tomatoes (9%), cream (6.3%), canola oil (4.5%), ginger, garlic, salt, cashew nuts, sugar, herbs & spices. • Contains cashew nuts, coconut & milk. • Made on equipment that processes dairy, nuts, soy & sesame products. Wow what can I say about this product to make you go and buy it. I want you to try this product. Super authentic taste, better than Little India in my opinion. Beautiful rich smells whilst cooking made me feel like a pro chef when really all I had to do is brown some chicken with onion and add the sauce and seasoning sachet. If you are scared by overly oily looking sauces and dishes I wouldn&apos;t worry as in the nutritional panel it is well within recommended daily limits. I like to leave all parts of the sauce included when serving. I had mine with rice and all I was left with was an empty plate. If you are that way inclined it ticks all the boxes for Gluten, MSG and other purists alike boasting no starch, no preservatives, no food stabilisers or artificial flavours which is amazing considering the authentic taste you get. Cost wise it is well worth it. if it was just another jar of sauce then no but you get a separate seasoning sachet and this really helps you control the outcome of the dish. Even though I made mine with chicken I could just as easily see if working well with pork, goat or lamb. You should try this product, you will not regret it. 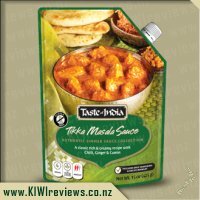 I have been really lucky and had a number of the taste of India sauces to try and I think hands down the Tika Masala has been my favourite. I have already been out and brought another couple of pouches! I made the first lot on a day when I knew I was going to be busy so would need a heat and eat dish later in the day so I cooked it in advance so we could heat individual serves when we were ready for it later. I had to taste test it of course once it was ready and I&apos;m surprised their was any left for later cos I could of eaten the whole lot. 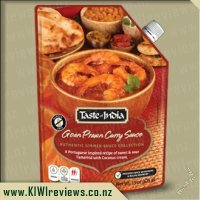 The flavour is perfect it has the right blend of herbs and spices to make for a very mild and tasty sauce. While there is no in your face hit of curry you expect from most Indian dishes you don&apos;t miss that at all because the taste is so spot on. It&apos;s so rich and creamy it could be enjoyed in a number of different ways. So far I have made it with chicken, rice and naan, chicken and veges with crusty bread on the side and made with veges as a side dish. My next plan is to try it as a pie filling. 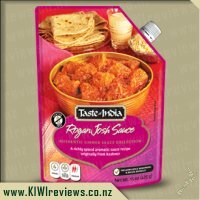 I have no trouble in recommending the taste of India range to anyone they are so quick easy and tasty, they have become a pantry must have in our house. Having been away from home for a while and living basically on takeaways it was so nice to have a some what home cooked meal. Nothing beats a rainy terrible cold day like a nice curry. Even better is a nice fast easy meal with hardly any preparation. Having used a couple of the Taste of India meals we have found that there are two methods to cooking. The first being where you fry up the spices add the meat, then the curry followed by the simmer sauce. The second as in this method where you fy the chicken add the simmer sauce followed by sprinkling the sachet of Tikka Masala and then garnish with the sachet of spices. I actually prefer the first way as you get such a nice aroma as you are cooking where as this method I feel you lose some of it. But either way, they are both very simple and by the time the rice is cooked your meal is practically ready. Now the girls and I do not overally like spicy food and so we add a generous amount of cream to our meals. Where as my husband loves the full out explosion of the heat. Although he did admit this was not as hot as he was hoping for. The girls and I loved our meal and both girls asked for more (which is huge when it comes to curries). 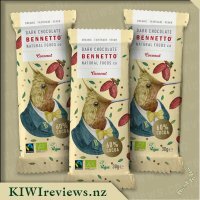 This is such a nice flavour and will definitely have a packet on standby in the pantry from now on. We used to eat a lot of exciting foods pre children but unfortunately didn&apos;t just encourage them to eat spicy foods early and now have to ease them into it. Well I have to say straight up this is the sauce to do it with. I wouldn&apos;t normally buy something that had two chilli&apos;s on it as it would be too hot for us. 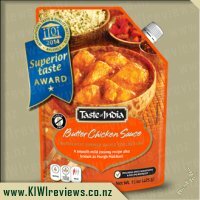 We do use the Taste of India Sauces as these are a brand that is certified gluten free and we can trust in our house. 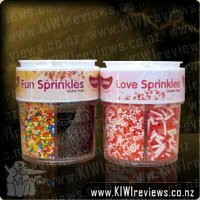 We also love that the product is all natural with no preservatives, artificial flavours or colours and over all is just a down to earth good quality product. 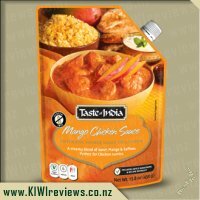 I love the pouch that it come sin and that it has a little pouch with all the separate bits to add as it feels just like cooking from scratch. I usually make rotis or we have papads but tonight I came home from work to have dinner on the table so it was mixed veg and rice. I had to be quick taking a photo as this meal was devoured so quickly by all of us. The sauce was simmered with chicken and had all the spices added and was quite frankly one of the tastiest curries I have had for a long time. We all loved it. I really liked the taste of ginger and the cashew nuts which I think set this apart but also made it a meal that my girls just couldn&apos;t get enough of. Miss Four asked for four helpings and the girls couldn&apos;t get enough - not only of the sauce but also the chicken. The two chilli&apos;s probably isn&apos;t a true reflection and the hotness of this sauce is mild enough that none of us noticed it. I can&apos;t recommend this sauce enough and we will definitely be buying it. A fantastic sauce. My family have very mild taste preferences - anything with a "2 chilli" spice rating is normally far outside their comfort zone - so usually I am left to eat things like this by myself. Oh, the hardship! I decided to try making this in the slow-cooker, since I only had casserole beef chunks in the freezer at the time. Knowing how &apos;wet&apos; slow-cooker food can be, I wanted to bulk it out with a pile of veges so that it wasn&apos;t ending up more as a soup. Because the meat was frozen, I poured the sauce into the cooker first to provide a buffer, then popped the meat on top before throwing in 3 medium Agria potatoes chopped into 1-2cm chunks, a large chopped capsicum, about 1.5 chopped large white onions, 2 medium carrots cut into sticks about an inch long, and some freshly ground sea salt. Prep time was under 10 minutes! I left it to cook on high for about an hour, to thaw out the beef and get the veges simmering, then flipped it down to low for about 6-7 hours - I&apos;ll be honest, I lost track of time and nothing had burned by the time I was hungry so I didn&apos;t really take note. When I was starting to feel the early signs of hunger, I made up a broth of flavoured rice using some pre-made seasoning mix and enough water to cook 2-3 cups of rice. That took about 20 minutes or so, and once it was just reaching &apos;cooked&apos; I tipped it out into a strainer - nothing worse than watery rice. A generous spoon of rice in a bowl, topped with a couple of serving spoons of the Tikka Masala and I had a really nice four-serving meal. Overall, I really liked this dish, though I admit I was surprised by how &apos;tame&apos; it was, heat-wise. Rated a 2-chilli "medium" I was expecting quite a bit more &apos;kick&apos; than I found. Maybe that was because of how I cooked it, or maybe because I added so many extra veges. Whatever the reason, I think most people can rest assured it will not burn your mouth out, and it goes just as well with slow-cooked beef as it does with chicken. In fact, I suspect the beef will be a better match for most. I recommend it! 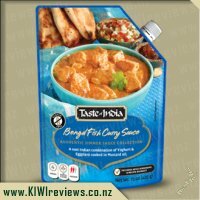 My family is keen on curry and so was keen to give Taste of Indian products a go. The packet was quite a large sachet with a little plastic pouch on the side that housed the recipe and spices needed. Although I didn&apos;t like the extra packaging that held the spices I did think it great was great that you had a choice as to how much flavour you added. 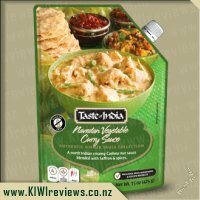 One downside of this product was that there was a smell of the curry that lingered on the outside which could be smelt throughout the pantry and kitchen. I first wanted to know what I needed to make this recipe. This is not printed on the packaging and the only way to find out is by opening the plastic pocket on the outside and opening up the little folded recipe card. Not an easy way to find out what needed to be purchased while at supermarket. Following the folded recipe card was too messy trying to find the right step while in the middle of cooking. 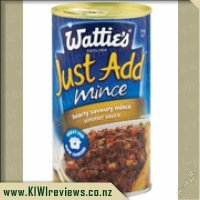 I prefer having the recipe and ingredients needed printed on the packet for easy access. The sauce itself was a great consistency that poured from the packet without needing to squeeze. 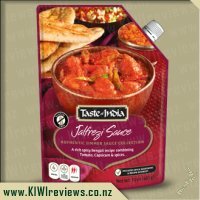 I tasted this first sauce before adding the tikka masala spice and found that the heat of the sauce was actually in the first sauce, so adding the spices was only flavour not heat. I tried the methi powder and choose not to add this for garnish but just stuck with fresh cream and coriander instead. The flavour was great and it felt like I was eating restaurant quality food. I would say that this is a mild/medium in heat. The texture was smooth. 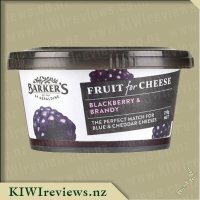 This was enjoyed by all the family and I think it is awesome value for money. 60% cocoa, single origin Ecuadorian based dark organic chocolate loaded with toasted coconut flakes. Simple and delicious! Organic, Fairtrade and vegan certified.